They say it’s the most important meal of the day, so it makes sense to pack as much goodness into your children’s breakfasts as you can. 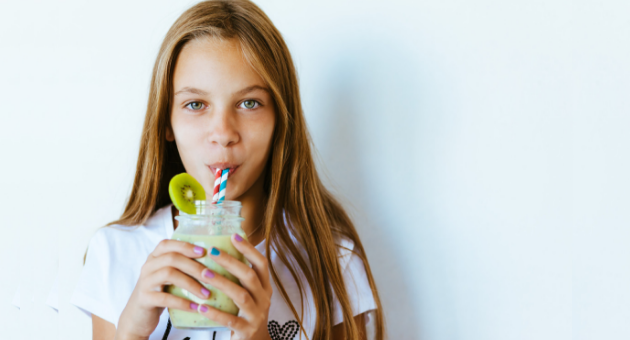 We’ve listed our Top 10 healthy breakfast ideas to give your child the very best start to their day. 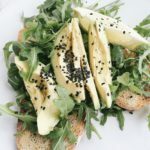 Avocado is packed full of goodness – from nutrients like potassium, folate and a range of vitamins, to monounsaturated fatty acids and loads of fibre – and avo pairs perfectly with a simple piece of toast, a squeeze of lemon and a bit of pepper. 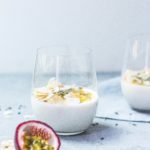 It’s pretty much just a fancy version of milk and cereal, but when the children want something sweet and you want them to have something healthy, yoghurt and muesli is a great go-to – particularly when you make it from scratch. Georgia from Well Nourished has a fantastic, nourishing toasted muesli recipe on her website. Eggs are super versatile, protein powerhouses. Science says they help us grow strong bones, muscles and immune systems, and the hard-boiled versions are oh-so-easy to prepare in advance. Omelettes have all of the protein of eggs, with the added bonus of tasting great no matter how many veggies you throw into them! If your children aren’t big fans of veggies, sneaking some into a tasty breakfast omelette means they’re at least getting a serve or two at the start of their day. We’re not talking about store-bought variety – which, while mouth-wateringly delicious, aren’t exactly packed with a heap of goodness. Kylie from Kidgredients has made pikelets wholesome, with this simple recipe for wholemeal pikelets that can be topped with fresh, antioxidant-rich berries. We don’t think bircher muesli gets enough credit. It’s seriously the yummiest, easiest breakfast! If you’re a fan of porridge but don’t have time for the prep or clean up, try your hand at a batch of bircher. We love it because it’s super tasty – green apple, cinnamon, honey and sultanas are our personal favourite additions – and can be made up at the start of the week and last until Friday. It doesn’t need to be heated or cooked, simply soak some oats in apple juice overnight (one cup of oats to 1/3 of a cup of apple juice is the ideal ratio) and then add a bit of yoghurt and whichever toppings you like! You’ll be hooked – we promise. Chia seeds are great for their versatility and superfood status – they’re said to be rich in fibre, protein and omega 3 fatty acids, while being gluten-free. Sure, you could sprinkle them on your cereal or into your smoothie, but we’d prefer a super sweet chia pudding, like this one from My Kids Lick the Bowl. 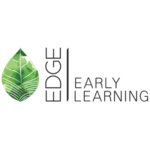 If you’re short on time in the mornings – and, seriously, who isn’t? – a ready-made ‘breakfast bar’ is an easy, healthy alternative. This recipe from Super Healthy Kids is packed with broccoli and zucchini, but we bet you could throw any veggies into it and it would taste great! 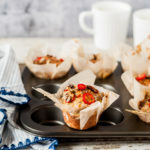 It’s a case of the greener, the better when it comes to breakfast muffins – which means that this one by Super Healthy Kids takes the cake (or is that ‘muffin’)?